Russ Dantu - Bio - . .
Russ Dantu lives in Calgary, Alberta, Canada. He is an expert on the subjects of trade shows, customer service and presentation skills. 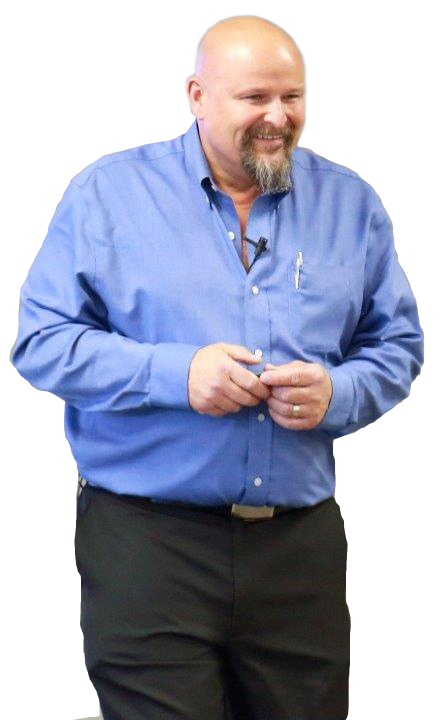 He brings with him over 30 years of management, sales, trade show and customer service experience, and well over 18 years worth of experience in the public speaking arena. In addition, he offers workshops and powerful keynotes to youth groups. He is also the owner of Syner G Apparel & Solutions. Russ strategically assists clients in setting themselves apart from their competition through the use of promotional products, staff apparel and corporate gifts. Why not take advantage of his complete conference package deal? Hire him as a speaker and receive great discounts on all your promotional needs for your conference – everything from bags to pens to speaker gifts! Russ is happily married to his wife, Sonia and has two grown children, Christopher and Carissa. When he isn’t working, Russ enjoys attending Toastmasters, playing hockey, golf, camping, walking his Golden Retriever, Shylo, and travelling.